How many of these unusual drinks have you spotted, shotted or tried to forget? This white, thick, rather suspicious looking liquid is, like most things in Japan, made from a base of mashed white rice. It’s definitely not for the drink-to-get-drunk types, since the alcohol level is minimal, so it’s one of those ‘harmless’ drinks you can enjoy any time of the day. In the winter a hot variety will get passed around to keep people insulated against the cold, and then a cooler version is served in the summer to combat the hair-frizzing heat. It’s easy to find in the supermarkets, or you can make at home (if you have a spare 12 hours). A recipe for this odd little concoction can be found here. It’s not difficult to guess what this drink entails; if you’ve ever had mulled wine (or the variations of it across the globe – glühwein, gløgg, etc.) 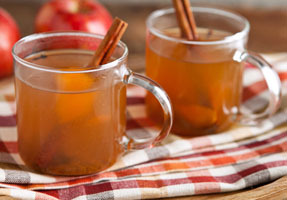 then you can guess what mulled cider is. 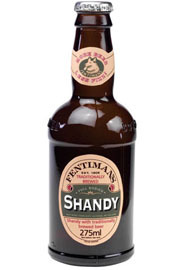 A sweeter, more apply version of its counterpart, this drink is associated with a very specific area of the UK’s South West. Every year the cider producing counties stage small-town festivals known as the Wassail, which celebrates the apple tree, and promotes a good harvest for cider production the following year. Foreign tourists often find the taste quite repulsive as they’re not used to something so sweet and sickly in a drink. One cup is definitely enough. You can make your own at home by simply boiling up some cider with mulled spices, or the lovely Jamie Oliver gives us his twist here. 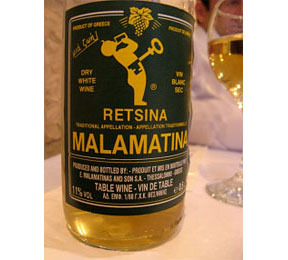 Surprisingly this description hasn’t led to floods of retsina being imported into the kitchens of Greek restaurants in capital cities across the globe – so for a taste of its piney-ness you’ll have to hunt down a speciality food store. For the geeky readers amongst you; the pine taste originates from the fact that pine resin was used to seal the bottles, back in the days when impenetrable vessels had yet to be invented. Faliraki is a great place to stay to try this drink in all its authenticity, as the island is covered in pines (especially in the Valley of Butterflies) with the smell of retsina in the air. Eat with delicious, spicy and salty Greek meze. Like most cold countries, sometimes you just have to drink through the pain of an outdoor temperature of -10 degrees. The people of Iceland’s choice of heart-warming beverages? Brennivin, which rather aptly translates as ‘burning wine’. This signature liquor is made from potato and a number of different mellow spices such as cumin, caraway, and a few herbs native to the glaciers of this barren country. Its clear colour and taste, together with the high ABV (around 37%), make it similar to vodka, but without any of the harsh spiciness. It’s perfect for shotting neat. (Or at least it is until you hear that its nickname is “black death”). Reykjavik Distillery, Iceland's first micro-distillery, is the only company that produces this mysterious liquid – but luckily Icelandair offers special ‘stop over’ deals where you can take a detour via Iceland enroute to Europe. Estonia is easily one of the most underrated destinations in Europe. This tiny country is complete with gorgeous, medieval old towns, fantastic restaurants, and cafes serving just chocolate and alcoholic beverages ‘til the early hours. Yes it is freezing, but in Estonia there is one simple solution to this minor problem: man up and drink. In all levels of minus degree temperatures the Estonians tend to sit around in outdoor cafes as though it’s the midst of summer in the Costa del Sol, drinking a cocktail of spirits. 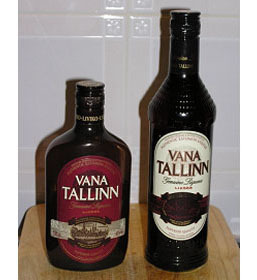 If you’re lucky enough to bump into some English speaking locals, they are sure to want to introduce you to the national beverage, Vana Tallin. This rum-based liquor is sweet, creamy and riddled with a heart-warmingly high alcohol percentage (40%). Don’t forget to toast the locals with a friendly “terviseks” when drinking it! Purists, close your ears; you’re not going to want to hear about this. That’s right – in the UK they actually water down the beer. Well, that’s not quite fair – they add lemonade to beer to make it a lighter, more thirst-quenching beverage that’s easy on the stomach. You can buy cans of this drink in supermarkets, or make your own. If you’ve got a sweeter tooth you might want to try ‘shandy gaff’, which is based on the same premise of mixing beer – only this time it’s with ginger ale for a sweet kick. 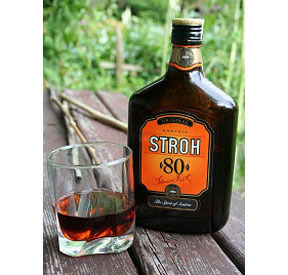 The beauty of Stroh is that it turns everyone who drinks it into an amateur dramatist. Upon taking a shot of this liquid of the first time, most drinkers end up performing a Harry Potter style brain-bursting-out-of-skull gesture, as their body attempts to stay calm upon ingesting a drink that is 80% pure alcohol. There’s really little explanation for why anybody would willingly consume this amount of alcohol, but it consume they do. For the saner among us, you can of course water it down. Try adding a little brown sugar, sprite and orange pieces to make this monster a bit tamer. Or, you know, take two shots and pass out. Your choice. You can purchase Stroh through online shops, but it doesn’t come cheap. 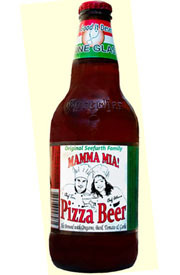 It’s little surprise that pizza loving Americans have managed to mash one of their most popular dishes down into liquid form. Made by brother and sister Tom and Athena Seefurth, this incredible concoction is made from their secret, learned by rote recipe (although they confirm it does contain real tomatoes, basil, oregano and garlic). Yum. Read more about how to get your mitts on it here. Pulque is a Mexican low-alcohol beverage made by fermenting the fresh sap from Maguey plants (which, if you take a look at them, seems nigh on impossible – resembling the top half of pineapples). 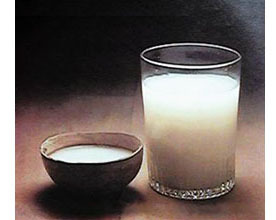 This drink was generally that of the poor folk, and contains a high number of nutrients (or at least when compared with normal, processed beers). The taste is incredibly difficult to define, and, like Marmite, generally sends people one of two ways: love it or hate it. The aroma is a little bit like a cactus plant, and it has the texture of six week old milk. If you’re heading to Mexico and want to ask for it, it’s pronounced pool-kay. Mix 1/2 oz. Bacon Infused Vodka with 2/3 oz. Bailey’s Irish Cream and 1/3 oz. Cinnamon Schnapps for a bacon infused cinnamon bun! Anyone who has holidayed in Turkey will know about this toxic liquid; famed both for its alcoholic strength and ability to strip paint. Mix it with water and it will magically turn white, giving it the name ‘Lion’s Milk’. 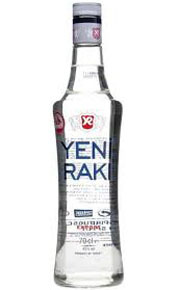 The Turks believe in the concept of ‘hair of the dog’ and will recommend another shot of raki for the morning in order to stave off a hangover. Find out how to order it correctly here. Chicha refers to alcohol derived from maize grown in South America (which becomes pretty obvious as soon as you spot the colour of the liquid). 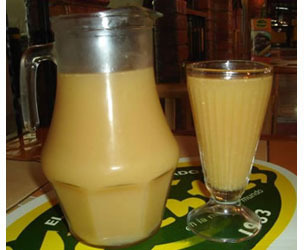 Chicha de jora is the ‘corn beer’ version of this beverage, and looks absolutely unlike any other beer you’ve ever seen. Different regions of South America will add different ingredients to the drink – such as quinoa, carob or pink peppercorns. 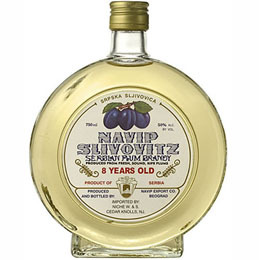 Another Eastern European drink (those guys live well), Slivovitz is a plum brandy in a light, cheery yellow colour. It’s manufactured in the U.S., so is available across the globe, but is thought to originate in Serbia. Like most brandies, it burns, but if you get a good quality version there will be less of that chest-clutching fear of death with every sip. 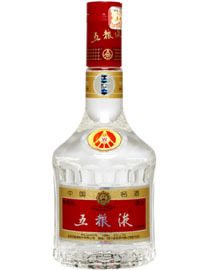 Baijiu is a Chinese drink that you’ve never heard of, but kind of have because everybody is talking about it. 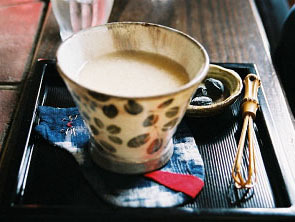 Like other Asian spirits such as sake, it’s made from grains – specifically sorghum. Generally those unaccustomed to the taste hate it, and foreigners living in China who get invited to banquets often dread the necessary baijiu shots that get handed out. With an alcohol percentage of 50-60% it’s probably no wonder people aren’t gulping it down. A recent ‘baijiu challenge’ game on social media has involved people drinking the potent liquid from large noodle bowls (watch here). If it’s Russian, you know it’s going to be lethal. 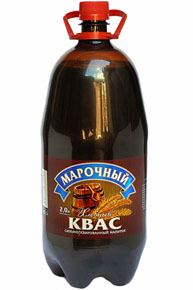 Kvas is a fermented rye bread drink with such a low alcohol content that it’s actually served to kids during the summer as a refreshment. Instead of your typical ice cream van, kids gather around the Kvas barrel waiting for the drink to be poured. If you drink it expecting a beer or ale-like flavour you’re likely to be shocked by the strong, sour taste. On the bright side it’s high in vitamin B, so you can count it towards your daily nutrient intake. The base of this drink is rice wine, with a few casual lizards thrown into the mix for an extra kick (or bite, as the case may be). It takes a whopping 12 months for the flavours to infuse the alcohol, so it’s not really one of those make-it-at-home drinks. 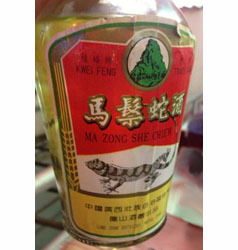 The Chinese believe that the liquid energy from the lizards promotes good health and can prevent disease. To impart these benefits the lizards must be put into the alcohol whilst still alive. Altogether now ‘eeeurggghhh’. Are there any obscure spirits you’d add to the list? Let us know, below.